MOSCOW, April 24. /TASS/. 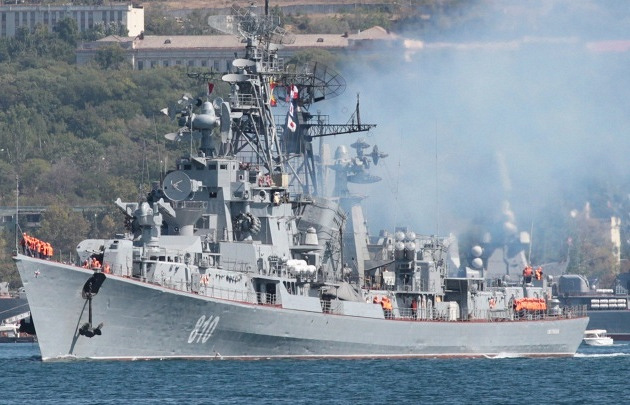 The frigates Admiral Grigorovich and Admiral Essen and the guard ships Pytlivy and Smetlivy are practicing a sea battle in drills in the Mediterranean Sea, the Black Sea Fleet’s press office reported on Tuesday. 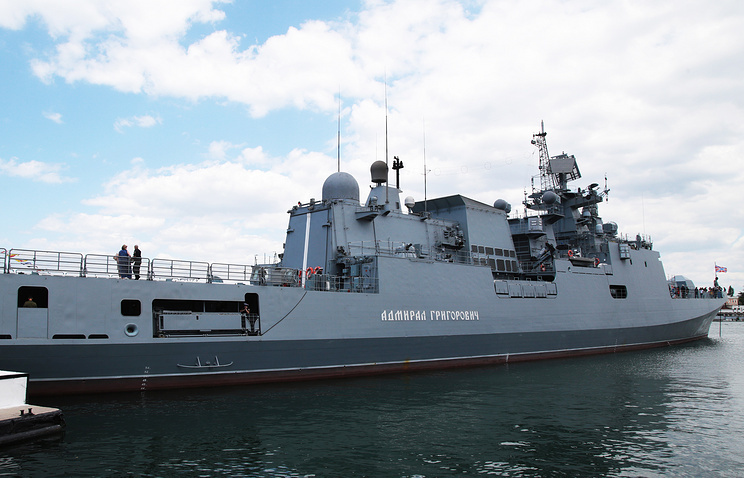 "In compliance with the combat training plan, the Black Sea Fleet’s naval taskforces comprising the frigates Admiral Grigorovich and Admiral Essen, the guard ships Pytlivy and Smetlivy are holding two-side maneuvers in the distant operational zone. In the course of the drills, the crews are practicing the algorithms for a group of warships to conduct a sea battle," the press office said. "During the drills, the frigates as a strike group notionally attacked the guard ships, which in turn practiced measures to jointly repel a simulated enemy’s attack, the press office said. "After that, the personnel of combat posts practiced the procedure to deliver missile strikes against coastal targets. The crews are also being trained in damage control to provide assistance to a ship damaged in a battle," the press office said. 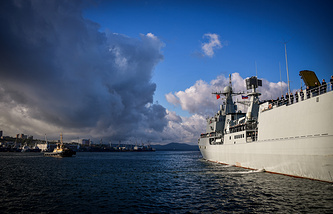 After the scheduled drills are over, the warships will continue performing missions according to the plans drawn up by the command of the Navy’s taskforce in the distant operational zone, the press office said.